Tag Archive | "gas station"
Small business starts are important because your own small business is one of the best ways to fight inflation and hard economic times. Yet the most frequent question I hear about starting small business is “where and how should I start my small business. Small business starting question #1: How much time do you have to start a small business. Small business starting question #2: How much money do you have to start a small business. Small business start up position #1: Plenty of time and enough money to live on and start a business. Small business start up position #2: Plenty of time and enough money to live on but not enough to start a business. Small business start up position #3: Plenty of time but not enough money to live on (or start a business). Small business start up position #4: Enough money to live on and start a business but no time. Small business start up position #5: No time and no money. Full steam is not often the best way to begin a small business. I always recommend that people start small…limited steam in a very directed way. Open the small business stopcocks nice and slow. Small beginnings are nature’s way. Most businesses start with a learning curve. During the beginning and in the initial learning period, it is essential to remain small as you err. Once lessons have been learned, the business can grow using business evolutionary cycle. #2; The idea leads to enthusiasm. #3: The enthusiasm leads to education. #4: The education leads to action. #5: The action leads to profit or loss but also more ideas. The cycle repeats and this is the way that businesses should grow. My businesses never really started in a full steam ahead mode. In a way I have always had one business, but it has morphed again and again, each new development being financed by the old. Each new development has always been (to Merri, me and we hope our clients) better. I began as a Prudential Insurance agent selling door to door in Portland Oregon. 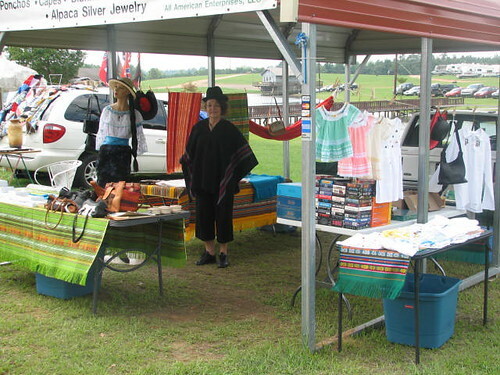 That beginning was financed by working in a gas station while I learned and trained to sell. Selling insurance in Portland led to selling American investments door to door in Hong Kong. This was really the only full time jump I made. I nearly starved! And I learned. Yet even then I was still selling door to door…with the same tactics just for a different product in a different place. I learned (as I starved) that the different product and place required different tactics. This started the evolution and due to traffic congestion in HK, I began putting on seminars to sell US investments more efficiently. Then I created a small newsletter to keep in touch with the investment salesmen I hired. These were the salesmen i motivated with my first newsletter. That was a good idea and both part time efforts (the newsletter and seminars) were financed originally by my door to door selling of US investments! But this approach was flawed. 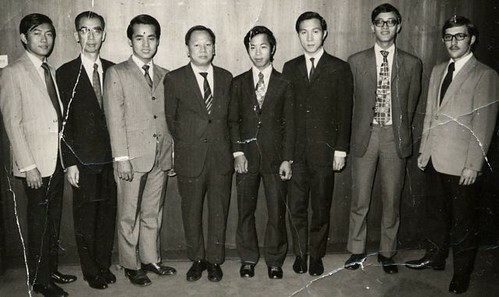 In the early 1970s, I was living in Hong Kong selling US mutual funds. This was when the Hong Kong stock market first began to emerge. Share prices in Hong Kong rose and rose. This was also the first time the U.S. stock market had collapsed in twenty years. To be frank U.S. investments then, sucked. Hong Kong investments were good. That idea changed my business. I began writing newsletters and reports about Hong Kong investments for Americans and how US investors could make more money abroad. This was a good idea but ahead of its time so I did this part time and financed the new effort with my existing business…selling US investments in Hong Kong. As my income grew from the new activity (selling HK investment ideas to Americans) I saw investment opportunity beyond Hong Kong. I moved to London. There was more international investing knowledge and information available there. I began selling reports about investing in gold, silver, Swiss francs, Australia, England and Germany. I tried many business ideas in London. 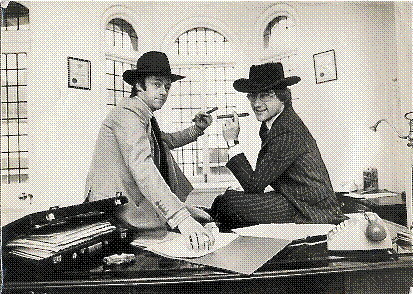 Here is a shot that was in a London daily, part of a PR program to help sell square inches of Graceland after Elvis died. That was a really bad idea. I am very glad I started that one small! This move to London was financed by selling HK investments to Americans. Then I saw other Asian countries beginning to have great potential. I began researching there and as phone rates dropped and the fax came along, I saw that I could get out of the big city and moved to Naples, Florida, then a sleepy fishing village… closer to my North American clients. My seminar business boomed financed by my London business. Then in the early 1990s saw potential in Latin America and in Smalltown USA. I began researching and traveling in these places part time…financed by my existing efforts in Florida. Finally as Naples became crowded, because of the Internet, we were able to move to isolated farms both in The Blue Ridge and in Ecuador and still have access to any international investment business information and stay in touch with my clients. My internet business began in a small way as well…as a supplement to my print business…not earning much…until gradually it became the only way we do business. Each step in our business growth has been a gradual evolution financed by the last. Each time we began the new part of our business in a small way, crept along and learned until it grew and took over to become our core. Today our business on the farm and in Ecuador create the largest part of our income. I do not know. You’ll find out as I do and my business evolves once more. What I do know is that whatever ideas emerge the ones that enthuse me will be the ones I follow…in a small way. I will test them…in some small way…not expecting to make enough to live on. Some will survive ad grow. Others will be discarded. Whatever your time and money position, you can begin your own business by looking for ideas that create enthusiasm in you. When you feel excited in a field start to educate yourself. Learn about the idea and then test small business ideas. Use a little time and or capital. Try…read…ask…learn. Tkae small risks. After that if you still feel good…go for it in a larger way and let your small business evolve from there. If you have little money start a business that uses your time and energy (as i did as a salesman) as your capital. The is the era when small is beautiful so until next message may your success to begin be fulfilling but small! We offer two emailed courses to help you start a small business. We offer seminar courses to help you start your own small business as well . 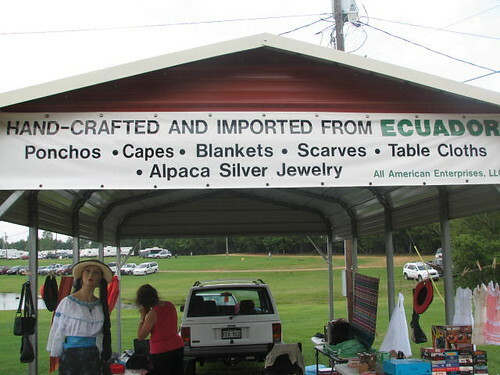 “Good Evening Gary/Merri/Steve, Speaking of a small business, we have opened All American Enterprises, LLC (AAE) which includes selling products from Ecuador at a trade days operation about 200 miles East of Dallas. I don’t know if we are off to a “bang” but we are sure having fun. See attached pictures to include our model, Consuella. See discounts for couples attending more than one course.